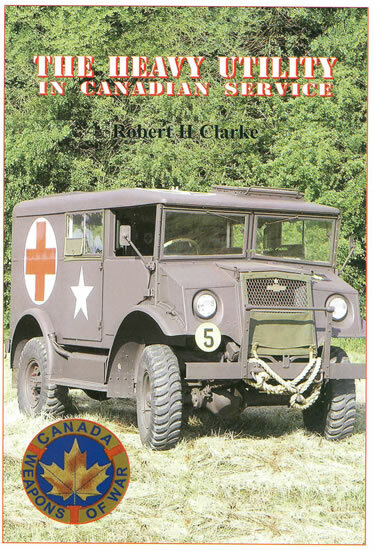 Timing is everything, and fortuitously the Canadian Army and British War Office began competition for new military vehicles in 1937 between Ford of Canada and General Motors Canada Ltd. This competition lasted until 1939 when the war began, but then plans were in place for the production of a large number of varied vehicles by both manufacturers using standardized designs that would satisfy requirements. The general designs were referred to as “Canadian Military Pattern” or CMP. The new trucks came in a variety of sizes and configurations, basically covering 8 cwt, 15 cwt, 30 cwt and 60 cwt classes (basically ½ ton, 1 ton, 1 ½ ton and 3 ton ratings) and 4x2, 4x4, and 6x4 configurations. Vehicles were basically classed as either C for Chevrolet or F for Ford followed by their weight class, configuration, and body style. Over 400,000 CMP vehicles were made in Canada with about half being of the C60 or F60 3 ton class. The vehicles came with three different style cabs – No. 11, which was similar to some of the Morris designs in England; No. 12, similar with improved engine access, and the best known, No. 13, which had a wide front, integral headlights and reverse-slanted windshield to prevent reflections giving away the vehicle. The main differences between the two companies were the use of the Ford “flathead” V-8 in their trucks and the “Stovebolt” straight 6 in the Chevy models. One of the smallest members of the family was the C8 4x4 Heavy Utility truck, often referred to as the HUP for its personnel carrier variant. This was basically a boxy body with windows on the chassis, fitted with a large hatch amidships and a commander’s observation hatch over his seat in the front. After preliminary design work in 1941, production of these vehicles began in 1942. While all of the vehicles were fairly identical externally, they all had internal differences based on mission and function. One of the first variants was the AMB-1 ambulance which was basically similar in function and capability to the US Dodge WC-54. They could handle four litters in their developed form and included a heater for patient comfort. New Zealand requested a special version of just the chassis - C8AX - and built their own vehicles on it. They received about 900 chassis in 1943. The Cipher Office and “Computor” artillery computation truck (C8A-PUTR) provided for use of secure communications and artillery plotting equipment with the provision of blackout curtains and screens inside the body of the trucks. The ZL machinery lorry (C8A-MACH-ZL) was a test and repair truck for wireless and electronics. The most common variant was the personnel carrier (C8A-PERS) or HUP which provided room for commanders and staffs. As with many other command vehicles, provision was made for a “penthouse” or tent which attached to the right side of the vehicle and virtually doubled the amount of light-restrictive area for commanders and staffs to operate. The Wireless variant (C8A-M-WIRE) was a command vehicle for antiaircraft and antitank artillery batteries from combat units through corps level. These had attached radio masts on the outside of the vehicle that would be used to erect antennas for operation and stub antennas for communications while in movement. Production of all of these vehicles ended in August 1945, but the vehicles remained in service until the 1960s before they were replaced. Many were acquired by collectors and reenactors and are still in use today for shows or reenactments. Overall, this book comes out at a nice time since Mirror Models will be doing the entire line of CMP vehicle and has a CMP Chevy HUP scheduled for release this year. Anyone planning to buy it should think of getting this little book as a reference. Thanks to Clive Law of Service Publications for the review copy.